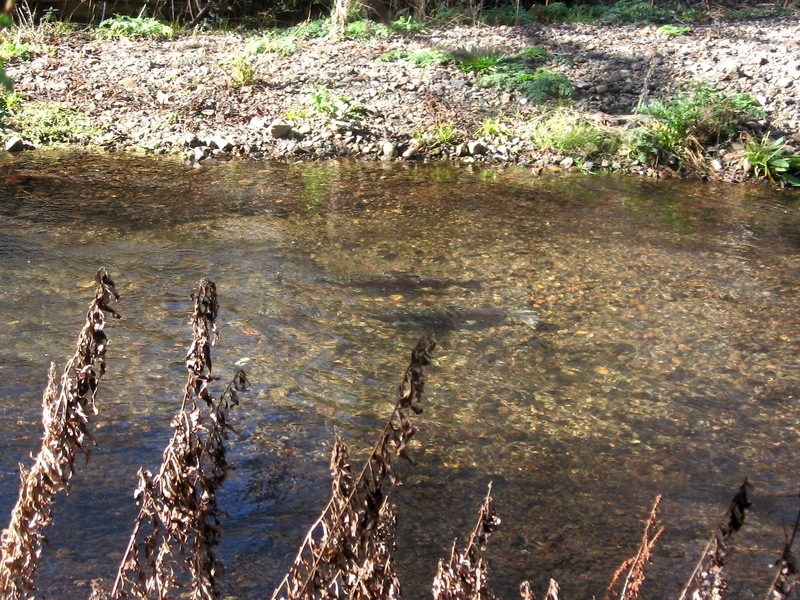 Another week without rain and very few salmon are spawning in Lagunitas Creek. 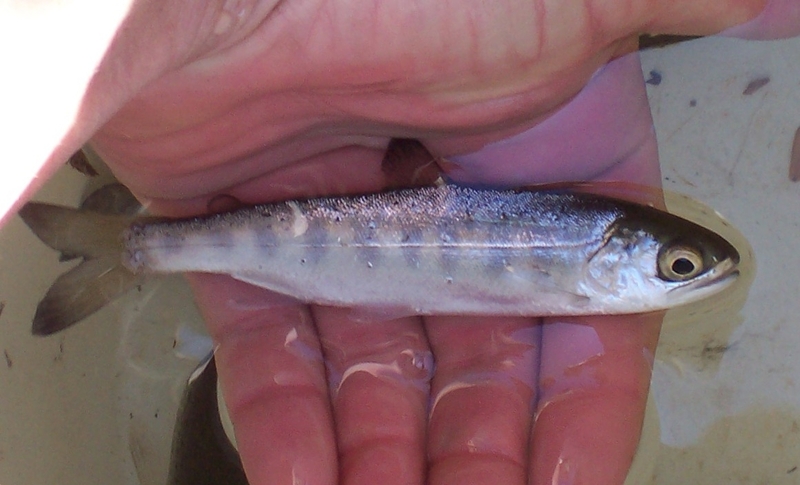 MMWD biologists documented 24 coho salmon and seven new coho redds this past week. 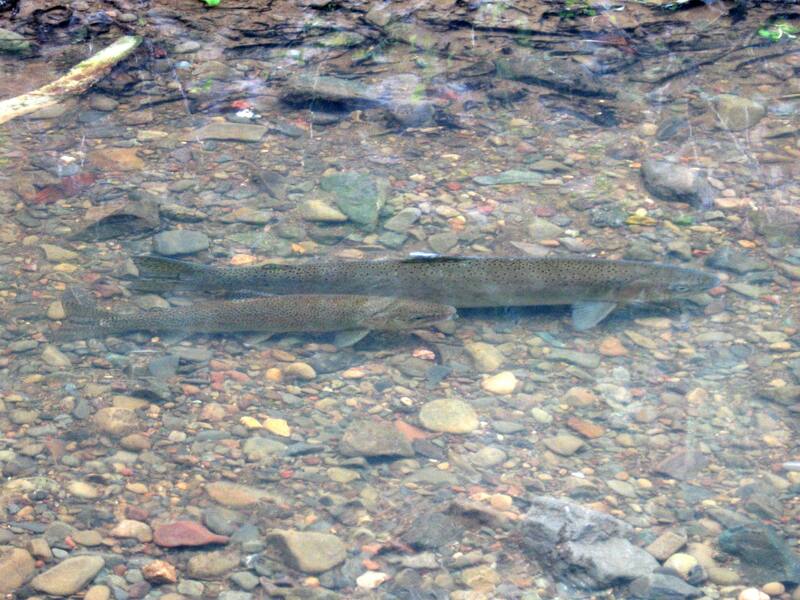 We also saw three Chinook salmon and identified what appeared to be five new Chinook redds. The total counts are similar to what we saw the week before, but far below average for the third week of December, which should be peak spawning time. In fact, excluding the population crash of 2008-09, the 22 coho redds seen so far this season are the fewest seen for this date in the last 17 years. Back in 2004-05, the great-grandparents of this year’s coho had constructed nearly 200 redds by this date (see chart). Looking on the bright side, Lagunitas Creek is faring better than many coastal streams that continue to be closed by sand bars due to the record-breaking dry spell we’re experiencing. 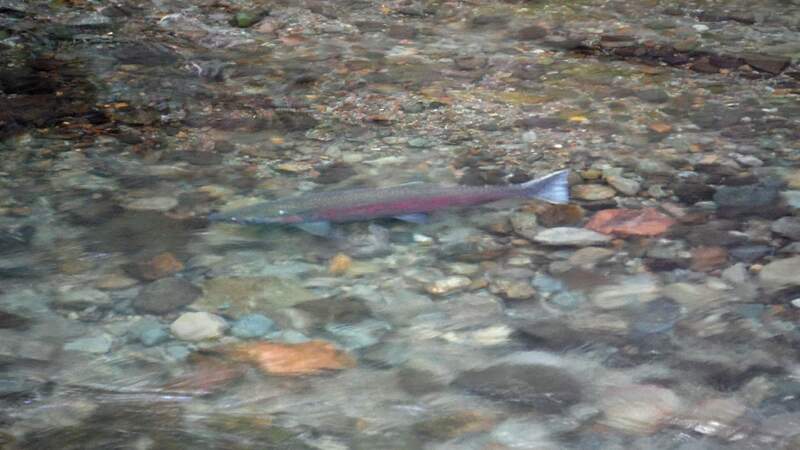 Water releases by MMWD have allowed some salmon to migrate as far upstream as Peters Dam, and more water will be released in January to facilitate additional spawning. 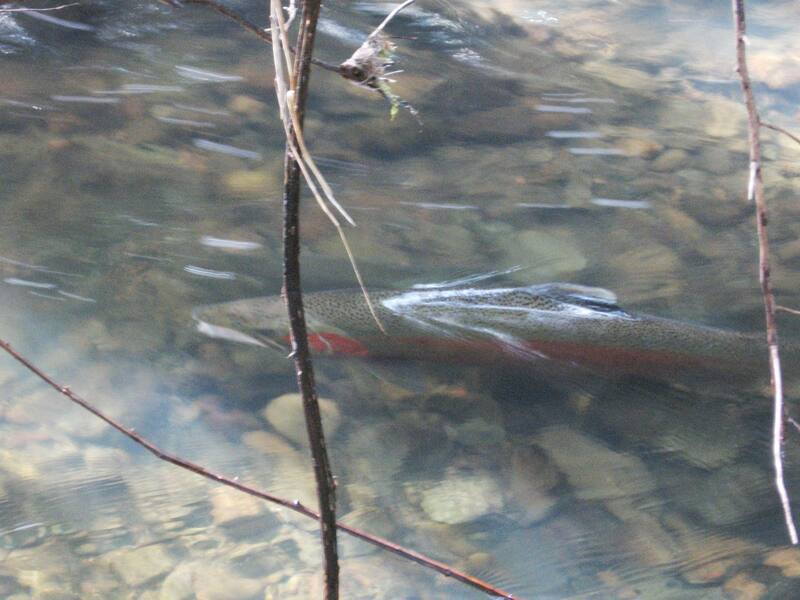 In about a third of years, coho spawning peaks in January and this appears to be one of those years. All we can do is hope that rain returns soon.